In a word, “Yes”. As cannabis is an organic, living plant, it can “go bad” in many stages, from growing to the final product. During the cannabis growth cycle, farmers must check for mold, mildew, pests, nutritional deficiencies, bud rot and many other issues. Then, once the final product is made (flowers, concentrates etc. ), it must be tested for chemicals and pathogens (bacteria, spores etc.). Ensuring that the plant has a healthy root system is also of utmost importance. Knowing what you’re getting and ensuring what you buy is good is of utmost importance for a medical marijuana patient. 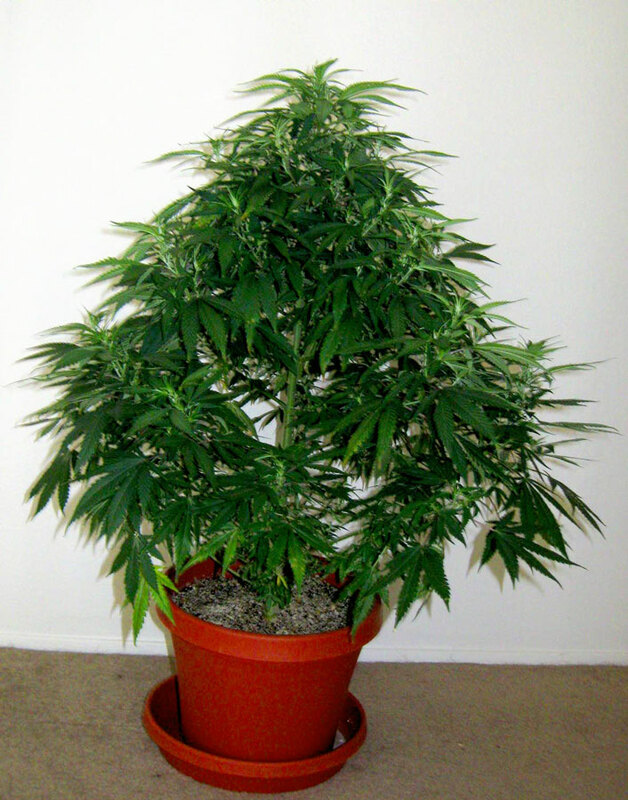 An untrained cannabis plant in vegetative stage. Cannabis flowers must also be properly dried and cured, not only to produce a more pleasant experience, but also to prevent the cannabis from going moldy. For those who are curious as to what “curing” is, it means leaving the cannabis bud in an airtight jar and “burping” the jar every so often. Doing so will break down the sugars and chlorophyll properly, and the terpenoids tend to become more pronounced over time and the consumer gets a more flavorful product. Cannabis buds are more prone to going bad over time, especially if they’re not properly stored. Concentrates may last a little longer, but they may have some plant matter left over in the final product, meaning certain types of hashish or concentrate may also “go bad” over the course of time. Putting your buds and concentrates in airtight containers will help keep marijuana buds and concentrates fresh for a little longer, but the cannabis will slowly lose potency, often after reaching a “peak” curing time, in a similar way to wine. Exposure to sunlight and air will also affect how long cannabis will last. 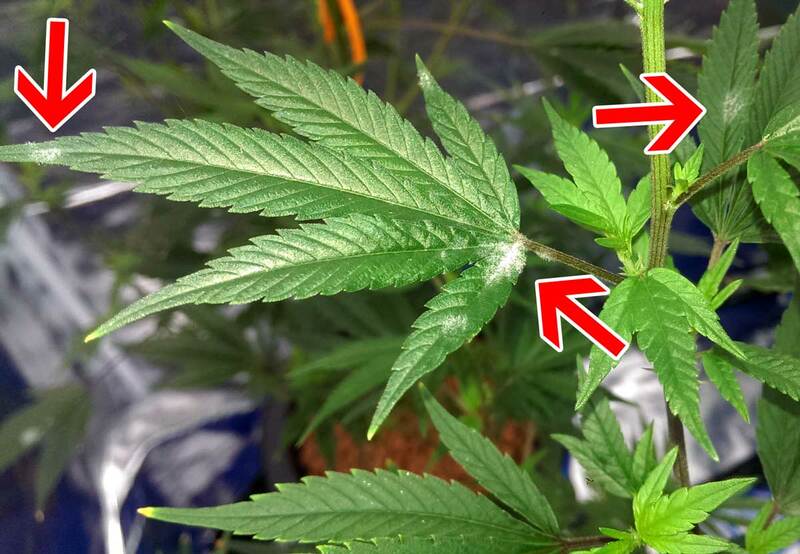 Hot, humid environments are particularly bad for food of any kind, so it’s no surprise that cannabis (which is a plant, after all) is more prone to mold and mildew in such environments. Many people also take to vacuum-sealing and freezing their cannabis buds in order to cure their bud properly, especially if they live in hot and humid places. Mason jars with airtight, clean lids and humidity packs are also often used to keep dried cannabis buds, regardless of the environment the grower lives in. Whether you are a grower or not, mason jars are a good buy for those wanting to keep their cannabis in the best condition possible. 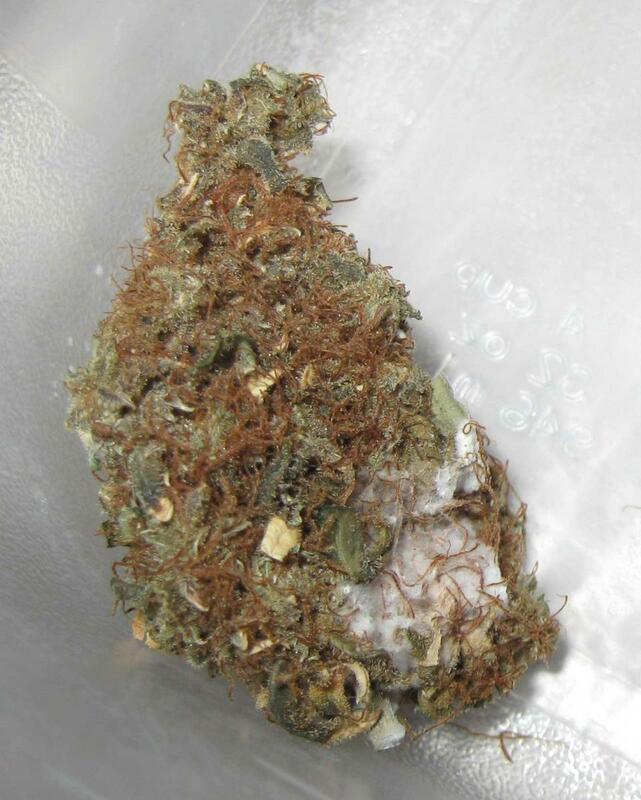 Marijuana buds in plastic baggies also tend to lose trichomes due to static, as well as making the bud “sweat” and smell. Keeping larger amounts in mason jars (or smaller amounts in small mason jars) avoids such drawbacks, as well as allowing you to carry on the curing process! 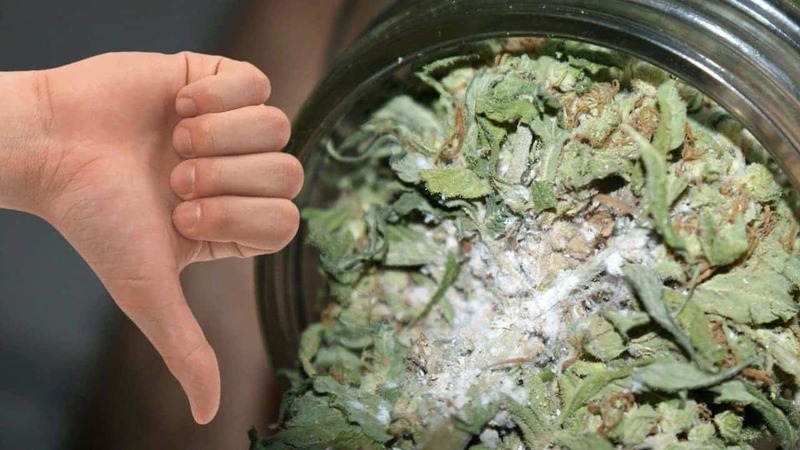 However, any moisture in a mason jar may well favor mold growth, so it is only best to keep cannabis in mason jars if they are properly dried and cleaned relatively often enough. So, with all this in mind, how long does cannabis keep fresh for, and how long is it usable for? Well, assuming it’s being kept properly, most cannabis plants will cure and peak for about 3 – 6 months, after which it will start to lose potency, and tetrahydrocannabinol (THC) will slowly degrade into the cannabinoid, cannabinol (CBN). Cannabinol tends to produce little psychoactive effect, but may help induce sleep and relaxation. Indeed, some may cure certain plants for a certain amount of time in order to maximize the THC:CBN ratio for different effects! Properly kept cannabis will generally keep for about a year, but will generally lose potency from the 6/8 month mark onwards. Assuming it hasn’t gone moldy after 12 months and has been kept properly, cannabis will be usable for 18 months to 2 years. Many people use older cannabis to make into oils and butters in order to keep their produce going for a little longer and increase its potency. The THC in older cannabis also degrades to cannabinol (CBN), which is a cannabinoid that can be useful for help in inducing sleep. Indeed, it could be argued that the “gentle” effects from some of the plants of yesteryear could come from the fact that most were getting old cannabis transported many miles, by which time most of the THC had been degraded into CBN! As for well-made hashes, tinctures and concentrates, keeping them in an airtight container out of direct sunlight will help such products fresh and usable for around 5 years. However, different types of hashes will keep for different amounts of time, depending on how much plant matter there is in it, how tightly pressed it is and how long it gets “knocked around” for. The production method used to make a hash or other concentrate also makes a difference, as some methods make a “purer” product than others. Concentrates, waxes and hash oils made using supercritical carbon dioxide (not solvents – they can leave nasty impurities in the final product) will therefore last longer than hash made from traditional methods like ice extraction, pressing, bubble bags and so on. 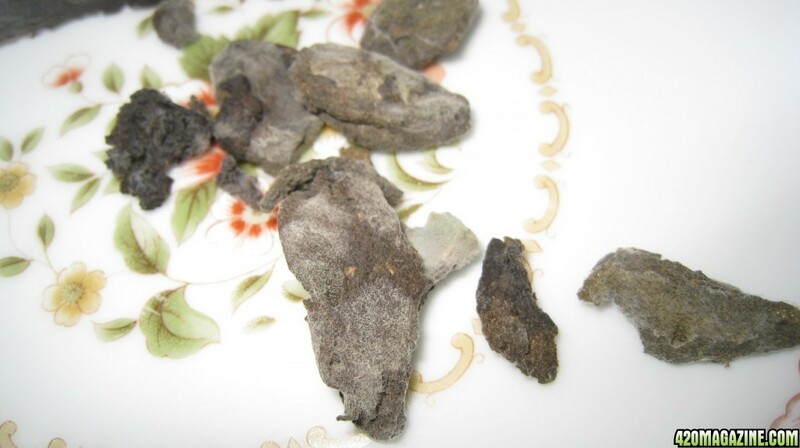 Hash made using these traditional methods may generally keep for a little longer than buds if kept well – about 2 – 2.5 years – but will start to lose potency after around 6 months. “Purer” methods of hash-making, which strip the cannabinoids away from plant material, will keep for around 3 – 5 years, although potency will still reduce after 6 months or so. Some people use moldy hash and buds to make purified oils, as these methods can strip away mold in their manufacturing process. Hash, oils and other concentrates, of course, do not need to be “cured” in the same way buds need to be, and so will be at its most potent within the first month of making it. However, hash and concentrates made from properly cured marijuana buds tends to produce better results (less water from the buds going into the mix), and many report a better experience by leaving hash to cure for about a month or two, especially if using bubble method and the like. Doing so will help keep your hash potent and pathogen-free for quite some time. So, to recap: properly cured marijuana buds/flowers can keep for about 2 years, peaking in potency and taste between the 3 – 12 month mark; hash made using “traditional” methods will generally last around 2.5 – 3 years if kept properly and if made using well-cured buds in the first instance, generally losing potency after about 6 months to 1 year; and oils, concentrates and tinctures can keep for around 5 years if stored in a cool, dark place and appropriately contained. However, all cannabis products should be checked for mold, mildew and other issues whenever possible, especially with regards to buds and hash. Dispensaries should be doing this all the time, and so should you. Should your cannabis be going bad in any sort of way, throw it away – the health risks just aren’t worth it. 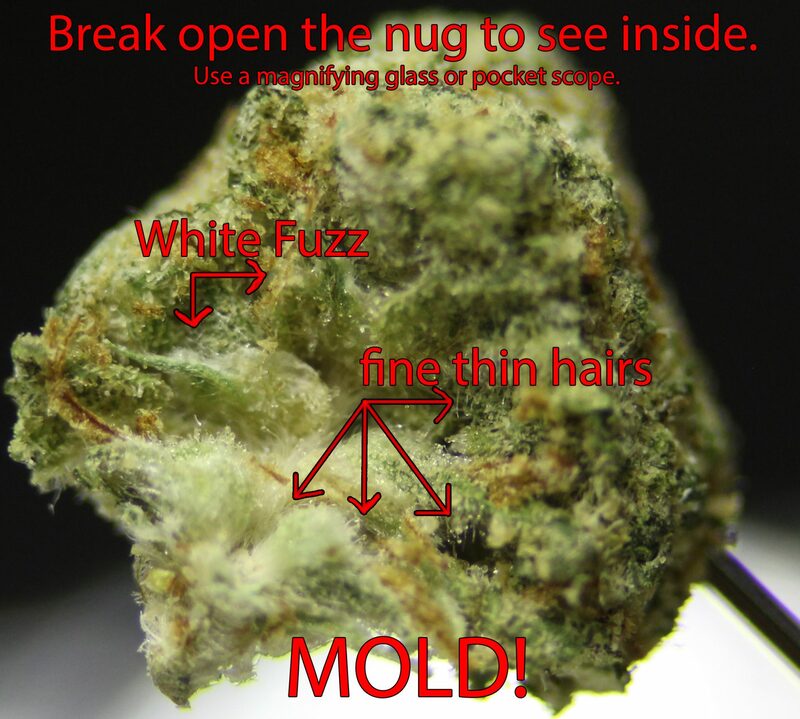 If you have just bought something from the dispensary and find there’s mold on it, take it back to the dispensary and complain. Ensuring you are getting the best out of your medicine is of utmost of importance, and will save you not only money but also your health as well. 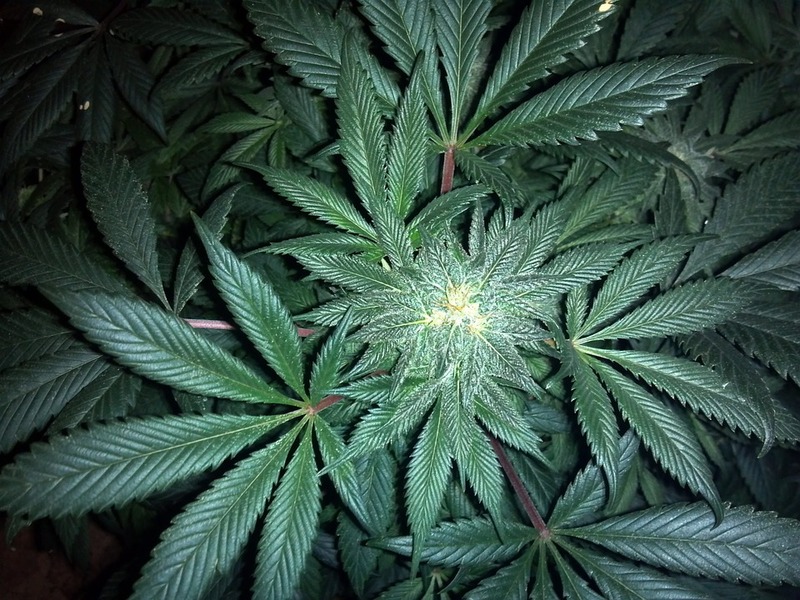 Healthy-looking cannabis plant from the top.